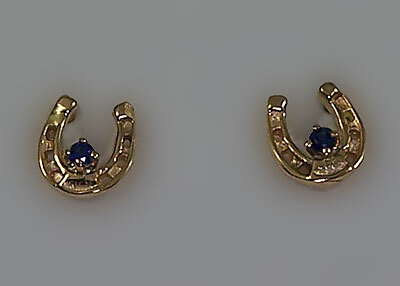 Tiny Horseshoe Earrings with Sapphires. Offering a full three dimensional cast design. Set with .04 ct of genuine Sapphires.